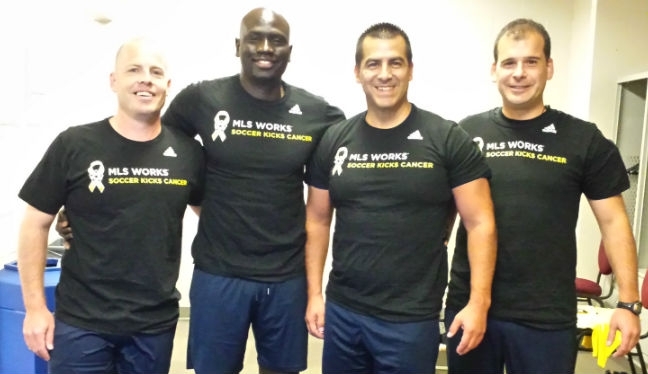 Officials of the Professional Referee Organization have been wearing MLS Works Soccer Kicks Cancer T-shirts during prematch warm-ups throughout the month of September. The campaign has been conducted during all matches played between September 5 and September 27. Each MLS club has been promoting Soccer Kicks Cancer in various ways, and PRO officials have played their part by wearing branded T-shirts for their prematch routines. “We’re fortunate enough to be healthy and not be battling these diseases, but we are helping MLS Works in the fight, and raising as much awareness as we can.